Interesting to see that the Fug 120 "Bernardine" might have been fitted as well. From what I can see the "Siebgerät" (SG120) and "Schreibverstärker" (SV 120) indeed appear to have the size of the U10 and EZ4 respectively, but I would be surprised that the F-numbers would intermingle with those of the FuG125. Is there any evidence of the FuG 120's Hell-printer having been fitted to the navigator's cockpit in the South African Me 262? It looks like the U120 base is identical to the U10S base, any evidence of that being present? I noted various elements FuG 25, 125 and 120. Funksammler in the lower right corner it will be V3 for FuG 125? Well I think? Defleuve, perhaps umformers been fixed where an empty space on a mounting plate? Another interesting period pic exists of the rear cockpit. F396: Unidentify, partially hidden by the seat. Can only see a switch on top. Seems to confirm both Fug125 and 120 were installed, using the same EBL3 as receiver. Rear: Spkf (fug120) and ? Last edited by Funksammler; 10-20-2016 at 07:03 AM. I just got a RSV120 frame from Ebay. Pretty battered, no flat cables present, but otherwise complete. Will post pics when cleaned up a bit. Looking at the backplane, I really wonder if wood only is used. There are grounding loops connecting frames to the backplanes and backplanes together. Could it be a thin soft steel plate fixed on plywood ? Hence what looks like surface rust on the backplanes. "Your enquiry was forwarded to the Ditsong National Museum of Military History (previously known as the South African National Museum of Military History). An example of a Me 262 B-1a/U1 two-seater night fighter is located at the Museum. It bears the identification number ‘Red 8’ and the werk nummer 110305. The aircraft was equipped with the FuG 120a Bernhardine which received coded information about the relative position of the fighter to an enemy bomber force. The information was relayed from a Bernhard ground station on a mini teleprinter set. This equipment, along with many of the other original instruments, was removed from the aircraft by the Royal Air Force prior to it being shipped to South Africa in 1947. " 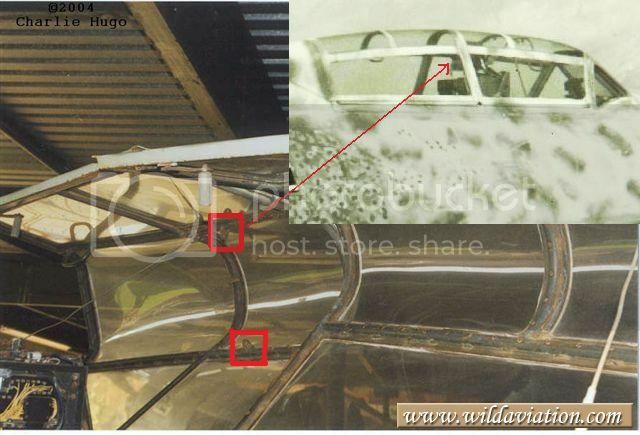 In Piotr's message #16 of 10-18-2016 in this thread, there is a cross-sectional diagram with equipment mounting frames on a bulkhead, and a color photo with the same mounting frames mounted on the fuselage. Does this mean that there were two Me262 installation configurations for FuG120? I recently got hold of a paper copy the FuG125 manual from NASM library. Describes its setup and working with FuG16. No reference to FuG120. 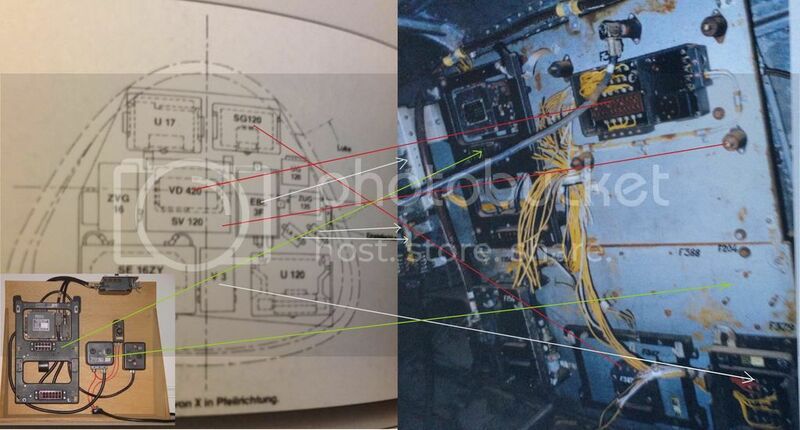 No pictures either of the ZVG125, but according to the cabling schema, it is directly linked to the AFN2. Just added some more pix of an HS120 printer to the HS120 section of my FuG120 webpage.